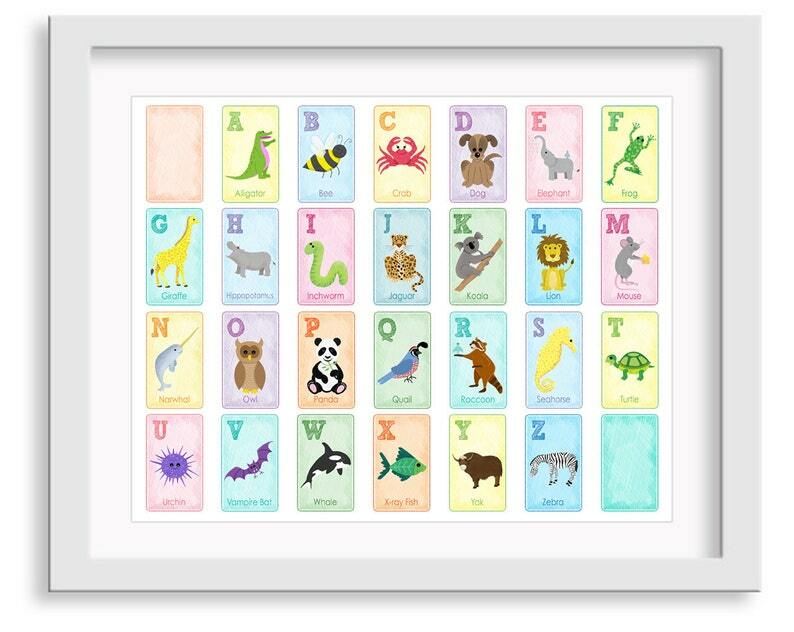 This pastel animal alphabet poster is the perfect print for any nursery, playroom, or baby shower gift! All drawings were hand drawn first, scanned, and colored digitally. Artwork is signed on the back, then packaged in a cello sleeve and rigid mailer to ensure safe arrival.